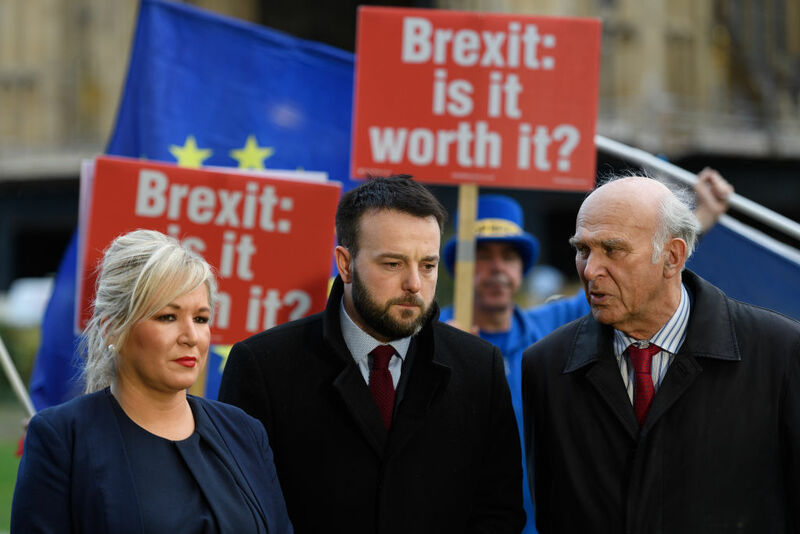 Sir Vince Cable has called Theresa May’s threat that she will ramp up no-deal preparations if MPs vote against her Brexit deal “scaremongering of the worst kind”, and said that he doesn’t think anyone in the cabinet would be “mad” enough to pursue a no-deal exit. Joining James Whale on talkRADIO, Sir Vince also said he’d be pressuring Theresa May to hold a People’s Vote if he was still in government. “The leaving without a deal is highly improbable, and it is alarming a lot of people,” he said. “It doesn’t have to happen, the parliament and the government can simply say ‘no, we’re not leaving without a deal’. “So can you reassure all of us that there is no chance the government can take us out of the EU without a deal, without parliament actually debating and voting on that issue?” asked Whale. “That is my understanding,” Sir Vince replied. “I think the only circumstances now in which we could crash out without a deal is if the government itself decides to do it - it deliberately crashes the economy. Mrs May was warned cabinet ministers that she’ll step up no-deal preparations if her deal, which has been accepted by EU leaders, continues to face opposition. “That is ridiculous, it’s scaremongering of the worst kind, it’s a terrible waste of money and parliament trying to force us to do what they want us to do in a particularly crude and costly way,” said Sir Vince. He added that he couldn’t envisage the cabinet “crashing” the country out of spite. “I think I do believe that most of the people in the cabinet are reasonably rational people. They wouldn’t just crash the country out of pique. “None of the people I work with in government - I can’t believe they’ve gone completely mad. On the prospect of crashing the economy - which the Bank of England and the government itself has warned a no-deal Brexit could do - Whale asked if Sir Vince thought the UK was headed for another period of economic downturn. “There are a lot of recession clouds on the horizon for reasons unconnected with Brexit, and Brexit just adds another element of worry and negativity to the whole story,” he said. Read more: Will the Brexit deal get through the House of Commons? As for what he’d be doing if he held an active position in government, Sir Vince said: “I would be appealing to Theresa May and saying, ‘you’ve done your duty, you’ve tried to minimise the damage from the Brexit vote but this really isn’t good enough.